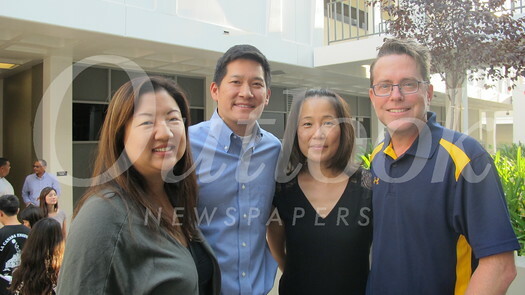 La Cañada High School 7th- and 8th-grade parents attended the annual Back to School Night. Members of the La Cañada Flintridge Educational Foundation, the Booster Club and PTA parents staffing the Apples for Teachers section were on hand to greet parents. Principal Jarrett Gold officially welcomed everyone in a brief meeting. Parents then were welcomed by their student’s teachers in the various classrooms, where goals and expectations were discussed.